We are delighted to report that David Duly, recently retired Chief Executive of Habinteg, and Mai Moore, former Deputy Chief Executive are among six recipients of the Chartered Institute of Housing Award for Outstanding Contribution to Housing in Northern Ireland. Our congratulations go to David (pictured far right), Mai (near left) and all other recipients. 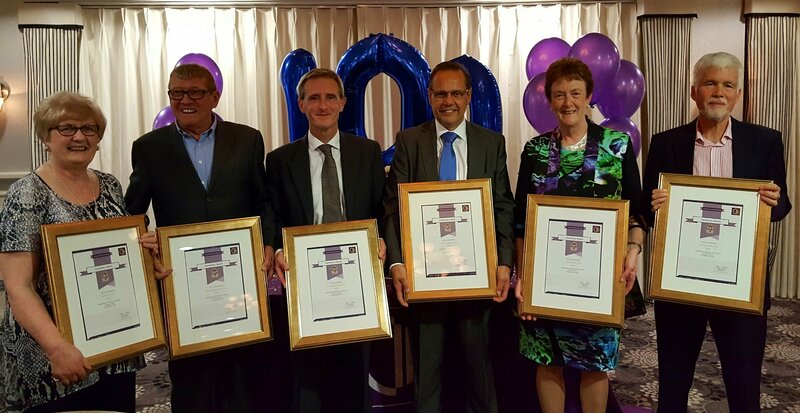 Full details of the anniversary celebration, the awards and award winners can be viewed on the CIH website - HERE.